Sump filters are common in saltwater setups. While manufacture red sump filters are available, do-it-yourself versions are endlessly customizable. Of course, the downside of DIY is that you have to assemble the parts yourself. All sump designs require several critical components. The road to the sump starts with the drain. 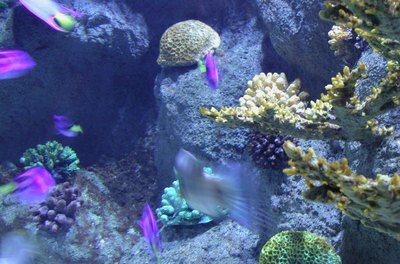 Several ways to plumb an aquarium to a sump exist, and among them, generally speaking, the elements if not the specifics are universal. Some aquariums come pre-drilled for a sump, in which case you need only a bulkhead fitting and possibly a strainer. It is impractical to drill some tanks, though; in such a case, you will need to purchase a hang-on box drain. You will also need either PVC piping or vinyl tubing to connect your drain to your sump. The specific length and diameter of your drain and fittings will vary based on the size and design of your tank. You may also need PVC fittings if your specific setup requires bends to reach the sump. You will need filter media for most sump designs. Most filter media for sump filters consists of materials with high surface-area-to-volume ratios. They include ceramic noodles, bio-balls -- plastic sphere designed for sump filters -- and filter floss. These materials don't cost a lot but are necessary for your sump filter. Don't forget to add them to your shopping list. You may also need baffles -- pieces of glass or acrylic -- which you will secure to the walls of the sump. These direct water flow through the various filter materials and create compartments for attaching other filters. You will need a return pump to get water back to your aquarium. You can find these at high-end pet shops. When selecting a return pump, you will need to consider both the volume of your aquarium and the height between the aquarium and the sump. Most brands contain instructional charts on the packaging to help you determine what size of pump you will need for your particular sump's design. You can purchase either submersible pumps that sit inside the sump or inline pumps that are integrated into your plumbing. The pump will connect to your return plumbing. Like the drain pipe, you can use rigid PVC or flexible vinyl tubing. The specific length and diameter will vary based on the size and design of your setup. 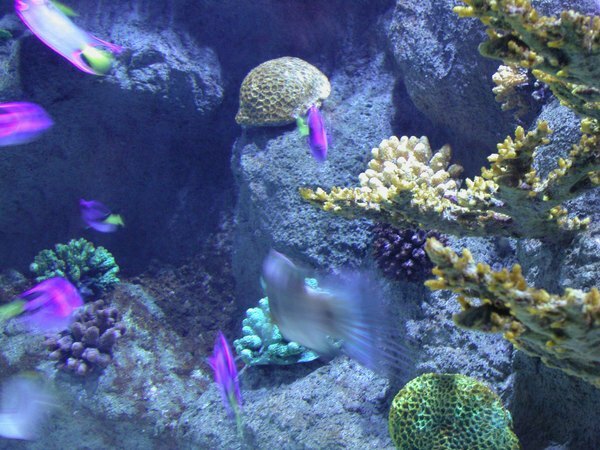 If you use PVC you will need fittings for any bends to redirect the return back to the main aquarium. You can buy a simple pipe for your return or plumb it to a return nozzle. These are available at high-end pet shops and online. A nozzle allows you to direct the return flow more precisely. You want to mount the return and the drain as far apart from each other as you can to improve water flow. Do Cats Fall in Love With Their Owners? Can You See Your Cat's Microchip? What Is a Runt of a Litter?